Magisculpt Black Lose Up To Swimsuit Std is rated 3.8 out of 5 by 33. Flaunt your sexiest ever silhouette as you slip into the incredible Magisculpt Lose Up To An Inch Swimsuit. Complete with intelligent Firm Control technology and fully lined powermesh, this fabulous swimsuit smooths over any problem areas, giving you a nip and tuck here and there to reveal an enviably curvy, hourglass silhouette. The fixed foam cups provide optimum bust support, meanwhile the medium leg allows you to show off a little extra skin. Please persevere when trying on this garment to acheive best results. Fits up to an E cup (please upsize if you are a bigger cup size or may show more cleavage than model image) Available in two lengths. Standard Body Length. 80% Nylon, 20% Elastane. Lining: 85% Nylon, 15% Elastane (excluding trims). Rated 5 out of 5 by Marthaalouise from Excellent swimsuit! 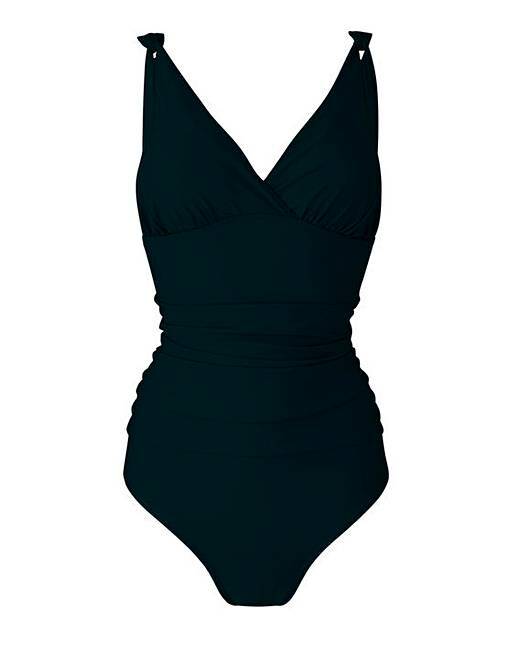 This is such a flattering swimsuit! I went up a size and would recommend doing so, if you have a larger top half. 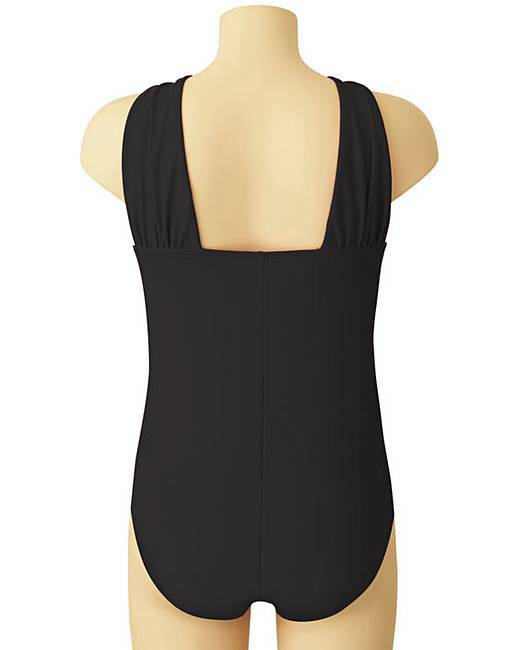 The swimsuit is so comfy and would flatter any figure! Rated 5 out of 5 by Welsh Nan from Great fit I bought this bathing costume ready for my holiday, it feels comfortable on and looks great. I felt very confident whilst wearing it. Rated 5 out of 5 by Mand from Great fit Very pleased with the purchase. Fit is true to size. Very comfortable. Rated 4 out of 5 by BCald68 from Accentuates the Curves Bought this right before my trip to Greece and loved it. The deep v neckline definitely shows off the girls so if you’re uncomfortable with cleavage this might not be for you. I loved it, long enough in the torso, good coverage in the hip/thigh area and really comfy. Highly recommend! Rated 5 out of 5 by flower power from great costume the best swimsuit i have had for a long time , does what it says lose an inch . Rated 4 out of 5 by Pops74 from Fantastic Fit I bought this last month for a holiday in Turkey - the fit and support is fantastic and it's very stylish. Rated 4 out of 5 by Littlegem from Can’t fault Look good on, can’t really fault just didn’t suit my body fame so returned it.